Capital One is a multifaceted Bank Holding company. In addition to traditional banking services such as checking and savings accounts, Capital One offers auto loans, home loans, online investing, a myriad of pre-paid debit and standard credit cards, and credit score tracking. Many of the Capital One services can be accessed online, through the Capital One online banking service. Online banking can be accessed by any client through the Capital One online banking login page. 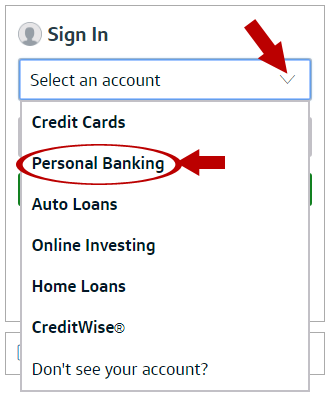 With the Capital One online banking system, all of the banking features can be accessed online, allowing you to move funds between accounts, easily apply for auto loans, purchase, monitor, and sell equities, apply for credit cards, compare interest rates, and get advice about improving credits scores. This guide will teach you how to gain access to the Capital One online platform with step-by-step instructions. Open your browser and go to capitalone.com. Select the type of account you would like to access from the pull down sign-in menu to the left side of the screen. After you select the option, two fields will appear in-line. Select the first one and enter your Username. Click on the right field and enter your Password. Press on the green Sign In button located below the fields. Accessing the Capital One site from your cell phone or tablet is similar to accessing the website from your computer. For greater convenience, you can install the Capital One Banking app on your Android or Apple device. Open the web browser on your mobile device and go to capitalone.com. In the right top corner, tap on Sign In. Press on the Username field and insert your user id. Tap the field below and write in your password. Hit the green Sign In button. Open iTunes and download the Capital One mobile app for iOS devices. Install the app on your preferred iOS device. Give the appropriate permissions to the app. Press on the Username field and enter your data. Input your password into the following field. (Optional) Toggle the Remember me button. Go to Google Play and download the Capital One app for Android Phones and Tablets. Install the app on the preferred Android device. Enter your username after tapping the first field. Go below and write in your password. (Optional) Switch Remember me to green. Occasionally, you may find yourself having difficulty logging into your Capital One account. Make sure that typed in your information correction and keep in mind that passwords are case sensitive. 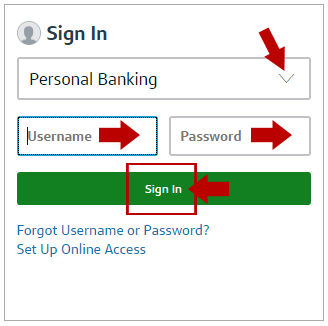 If you’ve forgotten your username or password, click on the “Forgotten password” or “Forgotten Username” link in the Support section located at www.capitalone.com/support. The Capital One password recovery page and username recovery page can be accessed from the Capital One online banking login page as well. You can see them just below the Capital One login form. For additional help with log in issues, or for other questions about the Capital One banking, you can contact agents on the Twitter account @AskCapitalOne or call Customer service at 1-844-348-8654. Another contact method Capital One contact page at www.capitalone.com, where you can select the corresponding issue. You can also try searching on the Support page or accessing one of the various information pages located into the footer of the Capital One website.